This entry was posted in Culture War, Hollywood liberals, Liberals/Democrats/Left, Media, United States and tagged #boycotthollywood, American flag, Apollo 11, austronauts, Buzz Aldrin, Chuck Yeager, First Man movie, moon landing, NASA, patriotism, Ryan Gosling, Venice Film Festival. Bookmark the permalink. Yes, more Odorist action. Nothing having to do with “countries” will be allowed. We are all part of The Borg. “They” made these decisions. Who, precisely, are “they”? I think I know. …Surprised they didn’t use an Arabian flag. Again I upvoted- no response- Thank you, DCG for your healthy response! The Left always rewrite history to fit their ideology, whether in the former Soviet Union where party members and former comrades who fell into political favor were airbrushed from photos, or now here in America by the devils of Hollywood. 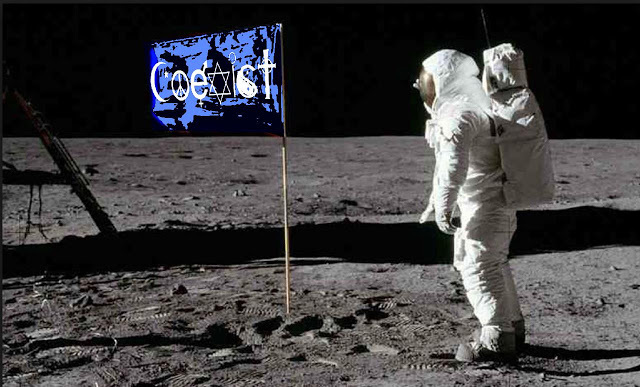 Now if I was doing this movie, I would add the flag and also the historical fact that Buzz Aldrin took communion on the moon–show him taking communion with the elements from his church. That would cause such overload and reaction of the left. They would be traumatized. What the hell is going with these people? 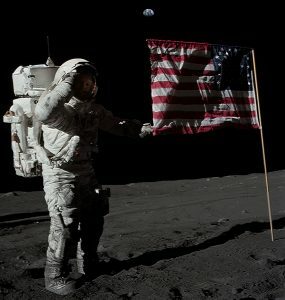 Neil Armstrong may not have considered himself a hero. However, the people of the United States did and that is the point. He was a humble man of great achievements!!! I was alive when this happened and saw it live on TV. Gosling was not so he doesn’t matter! He is a snowflake like the youngsters are these days, no concept of reality! How ironic that just minutes ago I was watching (for the 3rd or 4th time) the movie ‘WAG THE DOG’. Astronauts on the Moon. Right. I suppose it was about due for a remake. No doubt they are able to make it appear more realistic now,…any how. Just a little surprised they did not choose to make armstrong and aldrin black this time. Well, this is another Hollywood production that will bomb! If America’s greatest achievement transcends countries and borders, then hey… so should the forty billion dollar hit to American taxpayers’ pocketbooks. We’re all gettin’ a check in the mail! Yippeee!!! Yes, it was a human achievement that transcends borders. But it wouldn’t have happened without AMERICAN ingenuity & know-how!! I’ll leave it to you to decide if this was the Moon or Uranus.